I am very disappointed with this machine because even though this is an expensive machine, it has broke 3 times while I was using it. Repairs have been related to the "boiler" and "generator" and have come in at a very high amount, costing to at least 1 decent coffee machine. The machine is only used by my wife and I. Its descaled monthly. I seriously have no idea why my machine is so fragile and neither do the Delonghi authorized repairers. I have no doubt it will break again so I am looking for another brand. 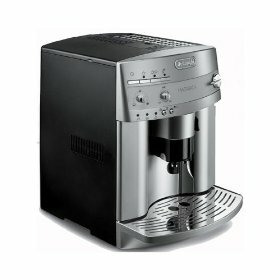 Even though it produces a great coffee, I am most likely shifting to other brands for a better espresso coffee maker.